Crosstown Concourse’s arrival was just the beginning. After the building’s grand opening, we shifted focus to a new round of marketing. By creating a campaign that saturates a myriad of platforms, we worked to connect to the widest segment of the community as possible. One of the core features of the MYC campaign is the new CrosstownConcourse.com. We overhauled the site for a clean, straight-forward user experience that highlights all the ways to #MakeYourConnection. We used an action-driven navigation structure to funnel traffic to their connection point with only a few clicks. 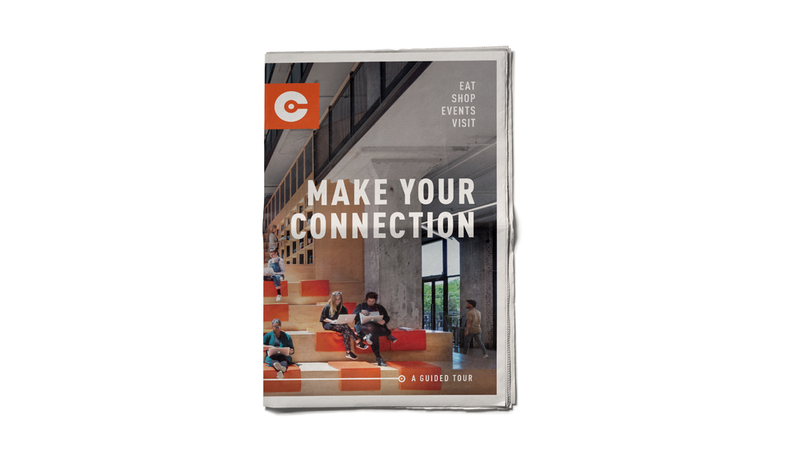 Concourse has such a wide variety of tenants, activities, and events that it was important to create strong brand awareness that brings together every aspect of the campus. We worked to evenly distribute tenant coverage and inform, yet create intrigue to drive people to the website or through the doors. 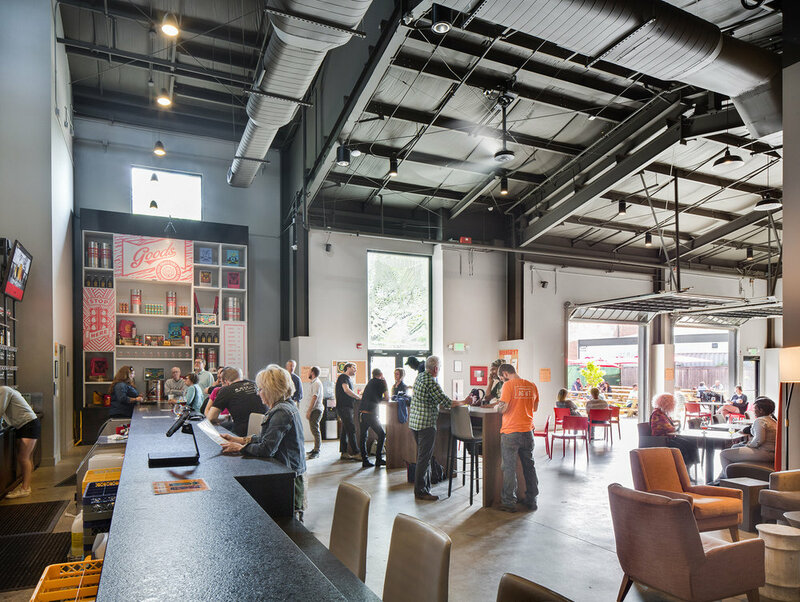 One key to showcasing tenants under the umbrella of Crosstown Concourse is new marketing photography. We focused on wide, people-centric shots that provide context within the building and glimpses into the every day in Memphis’s vertical village. 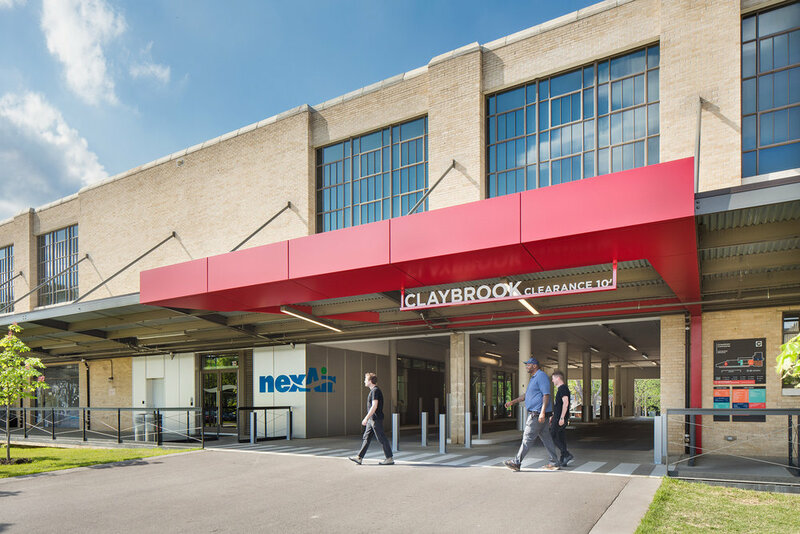 We created a video series for both social media and traditional advertising to showcase what Crosstown Concourse has to offer. Each moment has a subtle text call out to whichever tenant is featured, as a way to advertise for them and educate the public, while still maintaining Concourse as the focus. With over 1 million square feet, three separate atria, and 10 floors, creating a tour guide for visitors and prospective visitors was important. The tour guide appeared in the Memphis Business Journal, as well as in-house for visitors. We featured information about each area, as well as a parking guide and more, in order to help showcase ways to #MakeYourConnection.